Keenpac, renowned for their creative packaging designs, collaborated with global online fitness retailer, Bodyism, to develop a bespoke retail box for its 9-day Detox Programme. Being a prestigious, global brand, renowned for its top performance coaches and fat loss specialists, Bodyism offers a blueprint for a happy, healthy lifestyle by balancing movement, mindset, nutrition and sleep. Its clients include the most respected and elite, including high flying executives, actors, models and royalty all of whom embrace the brand’s philosophy and science for creating long, lean and healthy bodies and enjoying tailored nutritional plans, personal training programmes and a bespoke range of supplements, health drinks and proteins – which are all available online. 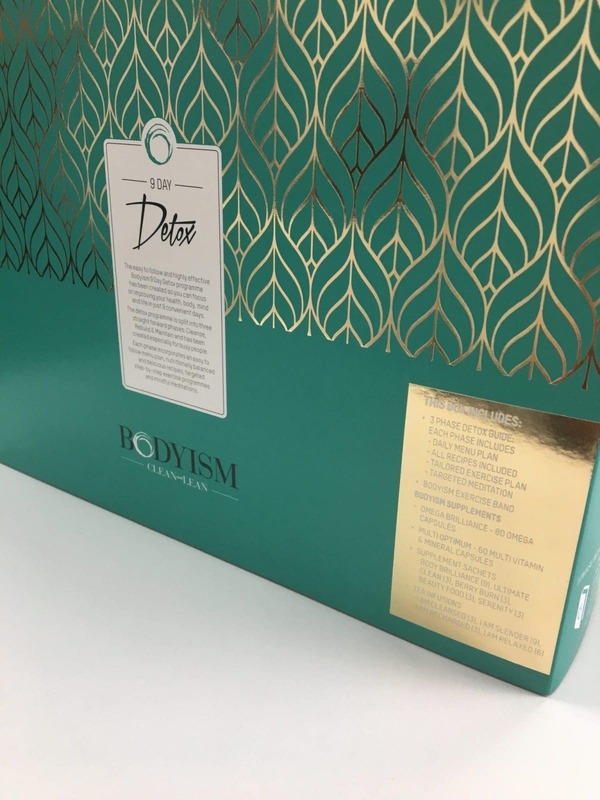 To ensure their retail box matched their expectations, Bodyism turned to Keenpac to design, create and coordinate a retail packaging design for their online Detox programme. The presentation box lid and base were printed 3 colours to the outer and 1 colour to the inner with 100% ink coverage and varnish. The insert was printed 1 colour to the one side with matt lamination. The striking lid was printed in 2 colours to the one side, finished with varnish and foil stamping. The result is a stylish, chic and clean look that perfectly echoes the brand’s values.